The loom has languished most of the last month, but not through lack of desire, just a nagging feeling that I had made a very poor choice in warp. 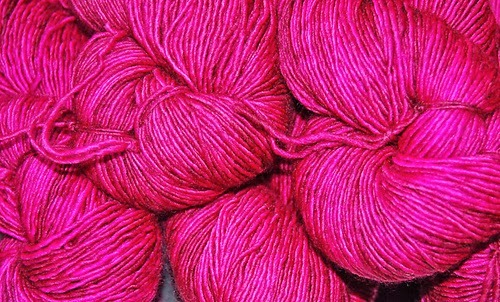 I had this beautiful Madelinetosh Merino light in a gorgeous color called "Coquette." 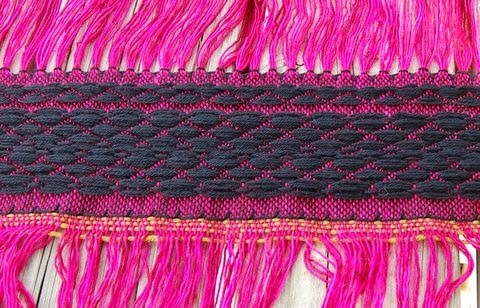 It took some time, but I prepared the warp and began threading the loom. 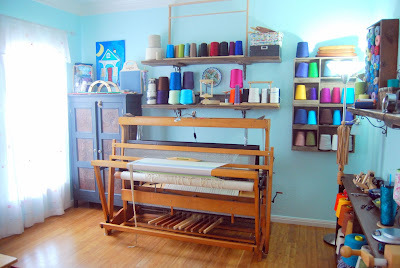 It actually took three of us (me, my mother, and the husband) to wind the warp on as one was needed to handle the tail, one to make sure the paper was straight, and me to keep it from felting as it when through the reed/beater. That should have put me on significant notice that my yarn choice was poor. However, we prevailed and before the New Year rang in, the loom was properly dressed. 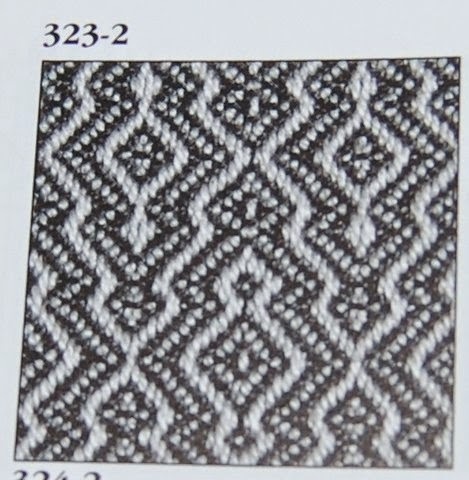 New Year's Day, I began weaving and immediately discovered that despite threading it correctly and following the pattern specifically, the instructions for the above pattern, did NOT result in the same woven pattern. It is simply wrong. Flat...damn...wrong. They simply did not match up. There's a pattern, yes. The above is actually the second run at the pattern, as I cut the first out, convinced the mistake was my own. It wasn't. The above is a shot of the backside....It's a pattern. 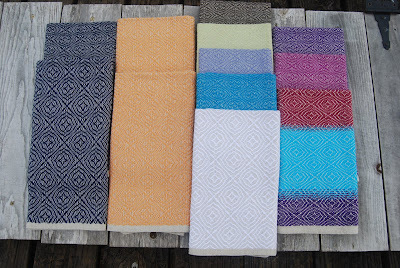 It is a pattern that matches another pattern in the book, but not the one I had intended to make. This did not make me happy, as the mistake was not mine to own. However, as I did not like the ridiculously long floats in the first picture, I was prepared (two weeks of sulking later) to cut my losses and just weave in an even pattern, using the lovely MadTosh for warp and weft to make a long, wide shawl. 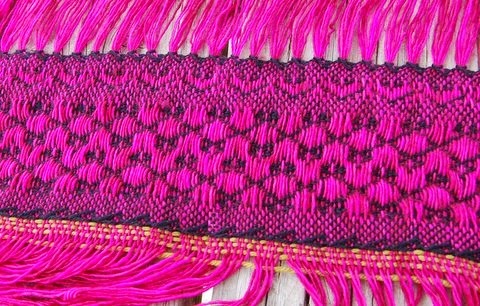 Two hours in and a third broken weft later, I had to re-rethink my plan. Using single ply for warp is a fool's errand. 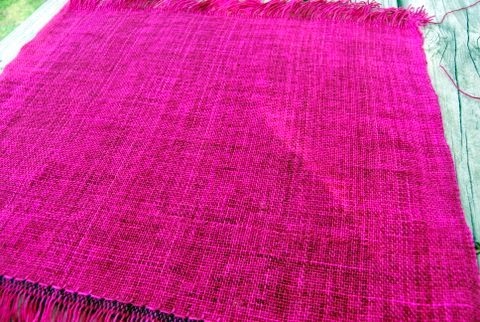 For the second time, I decided to cut my losses, even though the even-weave fabric is nothing short of stunning! There is just no way the warp will hold up long enough for me to make a shawl, it is coming apart with every beat of the reed. The good news is that I can tie on to the existing warp and pull through the reed and heddles without having to thread each one...at least, I hope I can, damned fragile, beautiful single ply.